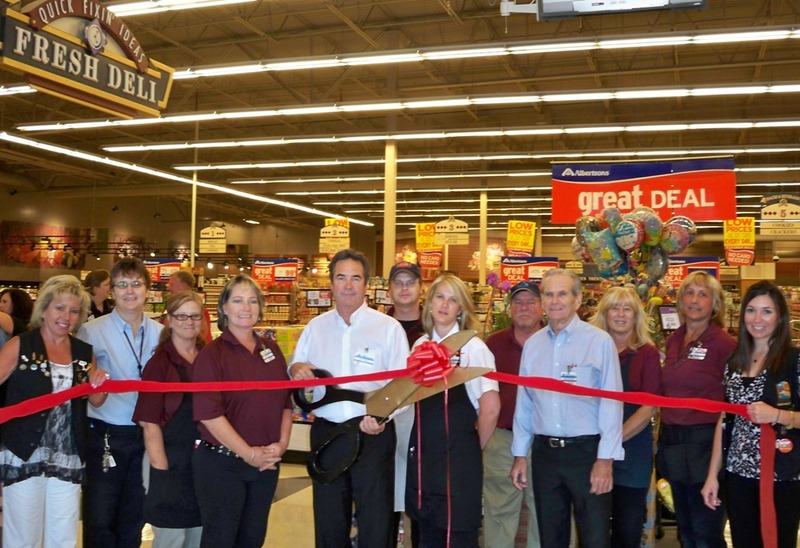 The Lake Havasu Area Chamber Ambassadors held a ribbon cutting ceremony for Albertson’s located at 1980 McCulloch Blvd. Albertson’s was built upon the foundation of providing superior service, a wide and varied product selection, and tremendous value to customers every day. They offer store pharmacies to fresh produce and excellent meat and seafood all tailored to the specific needs of the neighborhood serviced. Attending the ribbon cutting were Kathy Baumer, Cherryl Dollar, Molly Bodine, Jeri Pool, Jim Lund, Josh Sharp, Kristi Konieczny, Rick McCall, Donna Farley, Linda Reeves, and Crystal Alger. For more information contact Albertson’s at 854-5300.